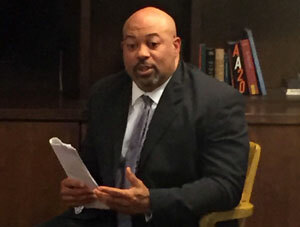 The regional news director for the Sinclair Broadcast Group met with the board of directors of the Stonewall Democrats of San Antonio on March 13 to address the community’s concerns over a town hall which Sinclair held on March 9 to discuss the controversial Senate Bill 6 and during which supporters of the transgender community staged a walkout. SB6 bars transgender people from using the bathroom that matches their gender identity and would prohibit local ordinances from protecting trans citizens from discrimination in public accommodations. 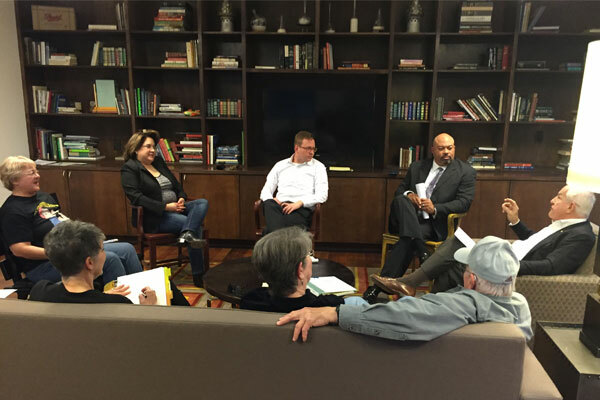 Blaise Labbe, who also has the title of director of news for WOAI/KABB, met with Stonewall board members Chris Forbrich, Ellen Stephens, Carolee Moore and Dee Villarubia. Also present were invited guests Anne Marie Schroeder, David Plylar and Doc Stephens. Out In SA was invited to observe the meeting. 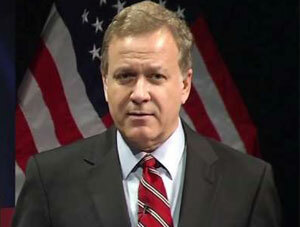 Forbrich told Out In SA that representatives of Equality Texas declined an invitation to attend. Trans activist Lauryn Farris, who led the walkout, was invited as well but said she had other commitments. Representatives from HRC and SAGA also were invited but did not attend. 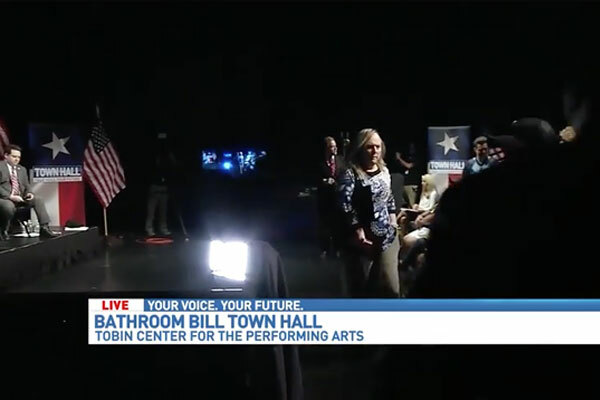 Forbrich, who is a Stonewall co-chair, said Labbe had told him the news staff at WOAI and KABB felt they had been unfairly blasted after trans activists walked out of the town hall over what they said was a lack of sufficient trans representation on the panel. The walkout was widely reported by local news outlets including the San Antonio Express-News. Labbe told those at the meeting that the goal of the town hall had been to examine what effect SB6 would have on the state economy, on the LGBT community, on families and on other state and local laws. He said the walkout was a “missed opportunity” for trans supporters to speak out. Activists have said they were incensed that two of the panel members, anti-LGBT gadfly Weston Martinez and Mike Knuffke of the anti-LGBT group the San Antonio Family Association, were extremist voices who were only there to denigrate trans people rather than offer any meaningful discussion. The other members of the town hall panel were: Shaneka Calloway, a therapist who works with LGBT people; Kolby Balcolm, a trans man and veteran; and Hispanic Chamber of Commerce CEO Ramiro Cavazos, who opposes SB6. Labbe told those at the meeting that his team had tried unsuccessfully to find panelists who supported SB6, including state Sen. Donna Campbell, Lt. Gov. Dan Patrick and the bill’s author, state Sen. Lois Kolkhorst. He said they only went with Martinez and Knuffke as a last straw because the two had volunteered to participate. Another point of contention with activists was a remark made by anchorman and panel moderator Randy Beamer, who said during a commercial break that Equality Texas had been invited but declined to participate. Labbe says Equality Texas had been invited and that their public relations representative, DeAnne Cuellar, had sent an email saying Sophia Parafina, a trans woman from San Antonio, would sit on the panel. According to Labbe, three days before the town hall, Parafina said she could not attend and Equality Texas did not offer an alternate participant. Cuellar disputes Labbe’s account. She told Out In SA she contacted WOAI producer Amada Emery to encourage her to include better trans representation on the panel after the station sent out a press release asking community organizations like Equality Texas to attend the town hall only as audience members. Cuellar says she suggested Parafina as a possible panel member but had not yet finalized her participation when WOAI sent out a press release announcing Parafina would be on the panel. Seeing the panelists included Martinez and Knuffke, Parafina decided not to participate, Cuellar says. 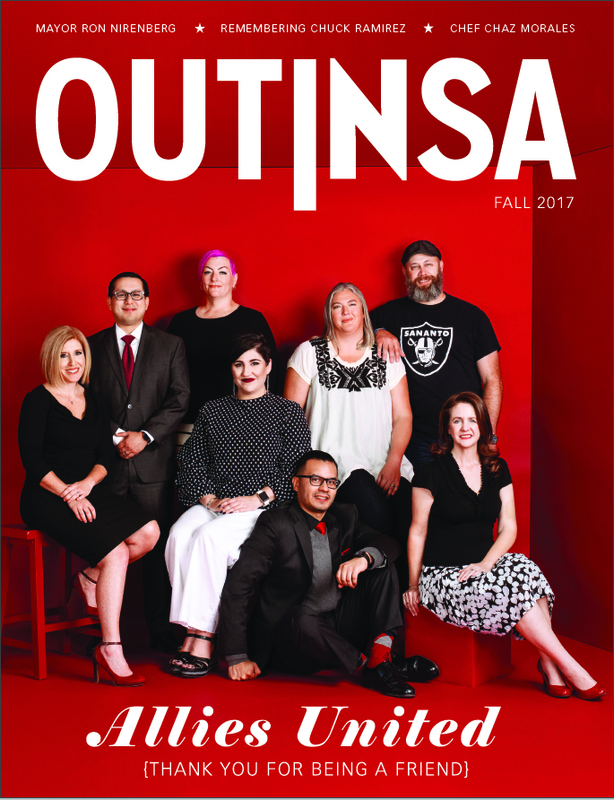 An article by Michael Barajas published in the San Antonio Current and Out In SA reported that town hall organizers asked Equality Texas and other activists, including Farris, to “sit up front” so the panel could call on them as “experts” as needed. However, about 15 minutes into the town hall, Farris led the walkout which nearly emptied out the auditorium. According to Cuellar, the walkout had been planned beforehand. Labbe says Beamer felt badly the event had prompted the walkout, adding that he was trying to be fair and impartial. Cuellar told Out In SA that Beamer had called Farris to apologize. In the end, the meeting with Stonewall gave Sinclair Broadcasting a chance to tell its side of the story and declare they had “good intentions.” It also showed how ill-prepared some local news outlets are when they cover LGBT issues.